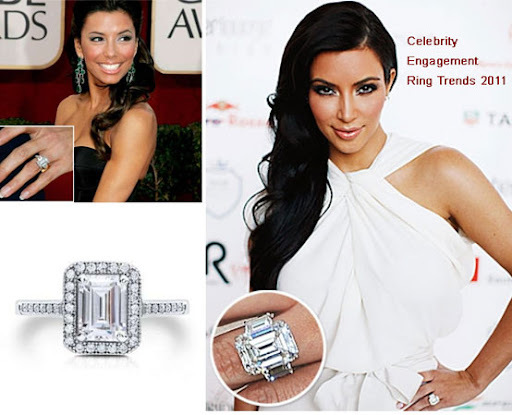 The celebrity engagement ring trend as of late has been ‘the bigger the better’ when it comes to diamonds. 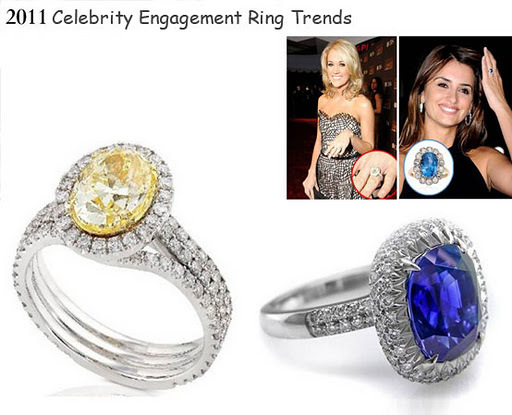 Actress Jessica Alba was seen showcasing a huge rock with a platinum band. Her fiancé Cash Warren is living up to his name by spending some serious cash on this ring. Giovanni Fortes, the new wife of Rashard Lewis of the Washington Wizards, went against the grain with a smaller ring. They had been a long-time couple before deciding to take the next step and Giovanni has a simple ring that still looks great (and they look very happy). Sean Carter, better known as Jay-Z, spent $5 million on this great piece of jewelry. The ring is a flawless 18 carats in an emerald cut. If diamonds are a girl’s best friend, then Beyonce’s diamond is the kind who would drive across town in her Porsche to pick you up for your manicure.